DALLAS--(Business Wire)--QliqSOFT, an industry leader in secure clinical collaboration solutions, today announced the release of a new patient-facing chronic care management solution that allows for the easy sharing and monitoring of data between patients and their care team members. 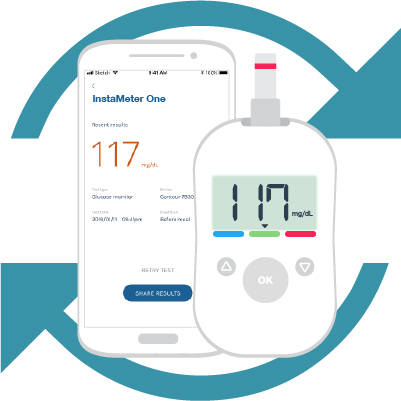 Patients with chronic conditions, such as those suffering from Type 2 Diabetes, can easily connect their bluetooth-enabled glucometer with the Qliq mobile app and share their test results with care managers without ever having to write down a single note in their paper diaries. Care managers will then be able to instantly view those results and discuss issues over texting with patients in real-time. These features, combined with customized threshold alerts and schedule medication reminders will contribute to the overall care of patients and a reduction of readmissions for chronic care patients. The announcement of QliqSOFT’s chronic care management solution coincides with the HIMSS 2019 Healthcare IT Conference in Orlando. Live demonstrations of this feature along with QliqSOFT’s entire suite of clinical collaboration solutions can be seen at Booth 873, February 12th, 13th, and 14th. To learn more about QliqSOFT’s new chronic care management solution, click here. With its unique cloud pass-thru architecture, QliqSOFT’s Secure Texting, On-Call Scheduling, Patient Communication and Clinical Collaboration solutions are trusted by over 1,000 Hospitals, Home Health, and Hospice Organizations to deliver HIPAA-compliant, reliable, and real-time communication between doctors, nurses, caregivers, and patients. To learn more, visit www.qliqsoft.com.